River Valley’s Cody Wooten (795) strides toward the finish line at the Federal Hocking Invitational on Sep. 19 in Stewart, Ohio. 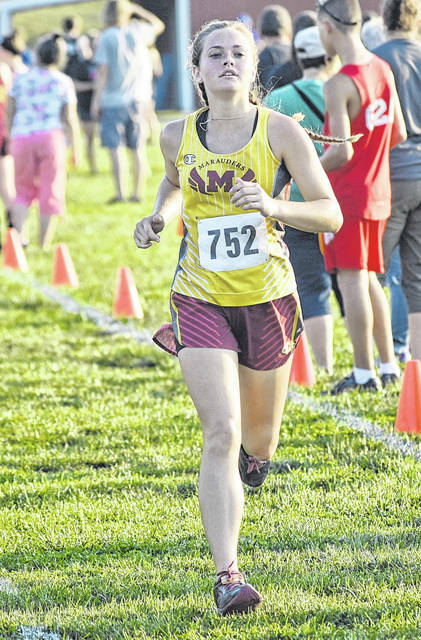 Meigs’ Taylor Swartz approaches the finish line at the Federal Hocking Invitational on Sep. 19 in Stewart, Ohio. 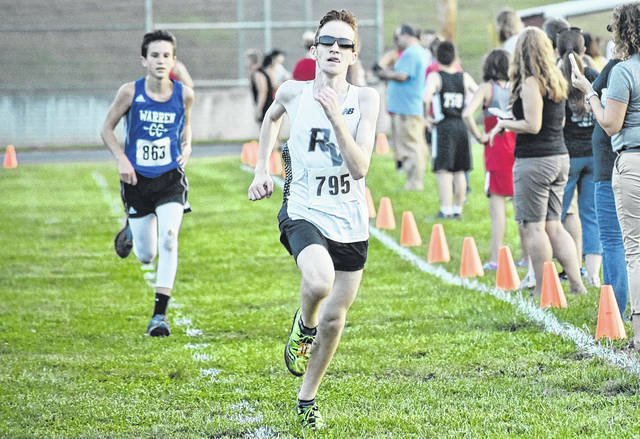 RIO GRANDE, Ohio — The Gallia Academy, Meigs and River Valley cross country teams competed at 2018 Division II OHSAA Southeast District Cross Country meet held Saturday on the campus of the University of Rio Grande in Gallia County. A total of 45 teams and 315 varsity participants competed in the event, with Trimble coming away with the boys team title and Fairfield Christian capturing top team honors in the girls event. Both varsity races featured over 100 runners apiece, with 198 boys and 117 girls taking to the course in the separate competitions. In the boys event, the top nine teams and those individuals that finish in the top 36 advance to the regional tournament at Pickerington, Ohio. In contrast, the top seven teams and those individuals that finish in the top 28 advance to the regional tournament in the girls event. Unioto posted a winning score of 49 points in the boys race, finishing 21 points ahead of runner-up Sheridan (70). Rock Hill was third with 106 points, while Miami Trace (190) and Fairfield Union (196) rounded out the top-five team finishers. Northwest followed in sixth place with 201 points, as Waverly (203), Warren (233) and Westfall (258) closed out the top-nine qualifiers in the boys race. River Valley placed 15th overall in the team standings with 311 points, as Rory Twyman (118:58) paced the Silver and Black with a 65th place effort. Dylan Fulks (19:16.92) was next for RVHS with an 79th place finish, while Cody Wooten (19:16.97) and Caleb McKnight (20:08.58) followed with 80th and 108th place efforts, respectively. Ian Eblin finished 150th with a mark of 21:59.21, while Nathan Young (22:32.87) was next coming in at 159th overall. Du Kobayashi (24:44.77) followed with a 185th place effort to round out the top-seven finishers for the Raiders. Gallia Academy placed 23rd overall in the team standings with 620 points, as Todd Elliot (19:50.74) paced the Blue Devils with a 93rd place effort. 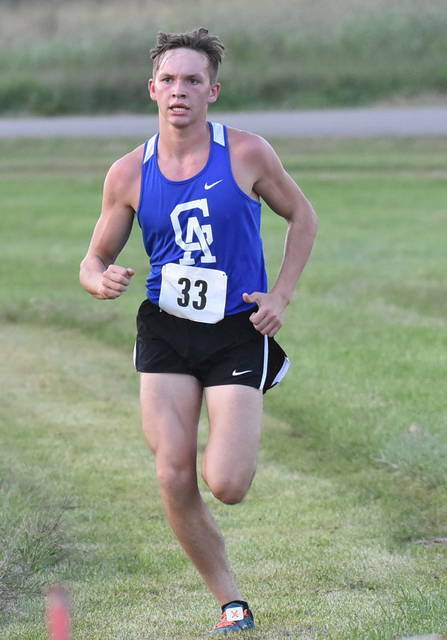 Chancey Odom (20:38.16) was next for GAHS with a 119th place finish, as Tristan Crisenbery (21:15.74) and Nicholas Sheets (21:44.73) followed with 129th and 141st place effort, respectively. Ethan Lawler finished 155th with a mark of 22:26.12, while Garytt Schwall (22:53.29) was next at 165th overall. Ethan Saunders (24:06.74) rounded out the top-seven finishers for Gallia Academy with a 179th place effort. 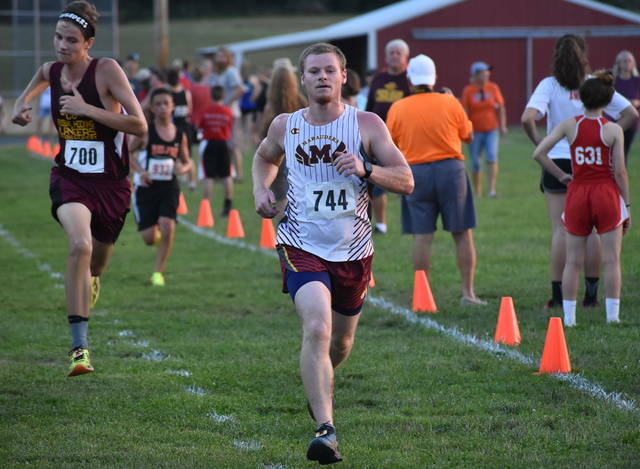 Meigs placed 24th overall in the team standings with 648 points, as Colton Heater (19:55.31) led the way for the Maroon and Gold with a 100th place finish. Landon Davis (20:08.49) was next for MHS with a 107th place effort, while Christian Jones (21:26.46) and Tucker Smith (21:56.87) followed with 133rd and 148th place finishes, respectively. Joseph Cotterill was next for the Marauders finishing 182nd with a mark of 24:18.21, Brandon Justis (30:33.81) rounded out the top-six efforts for Meigs placing 198th. William Wilke of Sheridan won the boys race with a time of 16:25.41, with Tucker Markko of Unioto coming in second with a mark of 16:35.80. 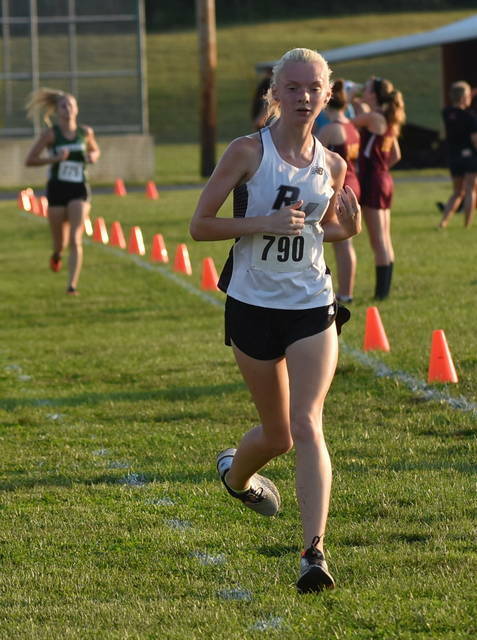 Fairfield Union’s Mackenzie Davis won the girls race with a time of 19:52.35, while Rylee Fee of Vinton County was the runner-up with a time of 19:56.75. Fairfield Union came away with the girls team title after posting a winning total of 25, while Vinton County was second with 62 points. Fairland (120), Athens (123) and Sherian (168) were next to round out the top-five team finishers. Warren (179) and Jackson (187) closed out the top-seven team qualifiers with sixth and seventh place efforts, respectively. Lauren Twyman (21:55.86) led the way for the Lady Raiders with a 29th place finish, while Hannah Culpepper (24:54.54) and Kaylee Gillman (25:09.31) followed with 63rd and 67th place efforts, respectively. Julia Nutter (26:08.42) and Josie Jones (26:08.46 ) were next for the Silver and Black with 80th and 81st place finishes, respectively. Connie Stewart (30:26.59) was next with a 112th place effort, while Kate Nutter (32:10.23) closed out the top-seven finishers for RVHS with a 116th place effort. As a team, the Lady Raiders finished 11th overal with 311 points. Gallia Academy placed 14th overall in the team standings with 361 points, as Sarah Watts (22:14.13) paced the Blue Angels with a 32nd place effort. 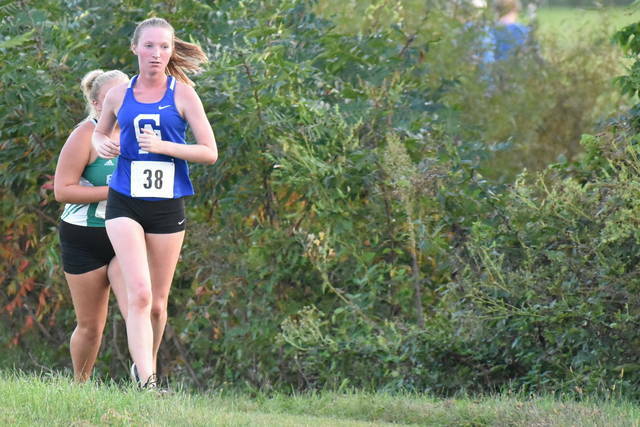 Brooke Hamilton (25:10.23) was next for GAHS with a 68th place finish, as Kristen Jamora (26:59.13) and Eliza Davies (27:01.48) followed with 88th and 89th place effort, respectively. Taylor Facemire finished 100th with a mark of 28:44.12, while Ines Perez (28:46.72) was next at 101st overall. Sydney Greenlee (29:31.18) rounded out the top-seven finishers for Gallia Academy with a 105th place effort. For the Lady Marauders, Madison Cremeans (25:04.19) led the way with a 66th place finish, while Taylor Swartz finished 82nd with a mark of 26:17.29. Visit baumspage.com for complete results of the 2018 Division II OHSAA Southeast District Cross Country meet.